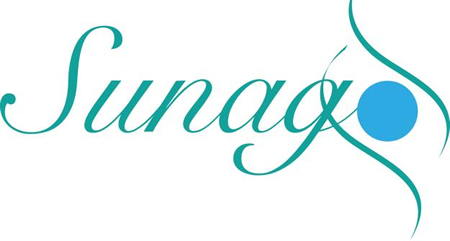 Hello, I am Fiona of Sunago Unique Creations. I enjoy creating gemstone jewellery and gifts, giving people smiles with that special piece or recreation of their jewellery. I am often asked how I came to do this, when my past life appears to be so different. However, I have always enjoyed being creative this has shown itself through my school life, university choice and as a hobby whilst I worked in the NHS. After a change was needed in life I picked myself up and used my creativity to help myself and also be able to also meet other’s needs in a new way. From this, I chose the name Sunago (an ancient Greek word to describe different people or things brought together as one) to describe the new adventure in my life and the creation of this unique business for you to enjoy. As a child I always enjoyed making things, which was picked up by people buying “make your own” types gifts. In secondary school my GCSEs included music and pottery and hobbies of knitting and cross stitch. at summer camp it was known that I could be found in the craft room (or the swimming pool) and would save up my pocket money to try everything on offer each year. This is where I remember making my 1st piece of jewellery, penguin earrings made from polymer clay. After leaving school I used my creativity and desire to help others in my choice of career, studying for a degree in Occupational Therapy. This means I have a science degree, where the course work included woodwork and pottery and art therapy, as well as the expected skills of anatomy, physiology, psychology and sociology. Whilst at uni I made my own beads from the left over wood and was to be found in the shops for jewellery parts (findings). I began making jewellery and giving it as gifts. This continued during my work. Early in this century I developed the condition ME/CFS and so my career ended in the NHS. Using my skills, I knew that I needed to be able to use my skills to still work with others and make a difference. This led to making jewellery and setting up Sunago Unique Creations. Now I help people complete their outfit, adapt pieces into new pieces or solve their problems of jewellery they cannot wear by repairing them. Want to know what others think of working with me? “I love my beautiful original turquoise pendant! Fiona did a great job, can’t wait to join her for one of her workshop. Thank you very much :)” The workshop was to make a gemstone necklace. 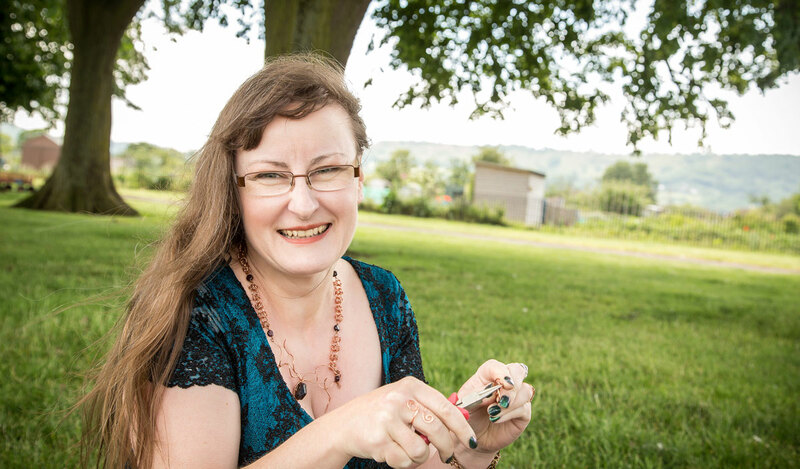 “I’m constantly getting lovely comments about the coral necklace and earrings you made for me – they really do bring extra pizazz to my aquamarine or cobalt blue dress I wear” ���� – Jude at Hire My Outfit. She is also extremely talented and her jewellery really is unique. If you’re after something a little different then definitely speak to Fiona – she’ll find out what you want and create a masterpiece for you. “Fiona made me some beautiful fresh water pearl earrings. I’d won one pair as a as a prize and could not decide between a deep blue and the white so decided I’d buy myself the other pair. They are high quality, gorgeous and look lovely on. This is why I love to do what I do. If you want to join these people, please get in touch. Fiona also enjoys gardening and seems to have developed an ability to share her home with rescued ginger and white cats (1 at a time).